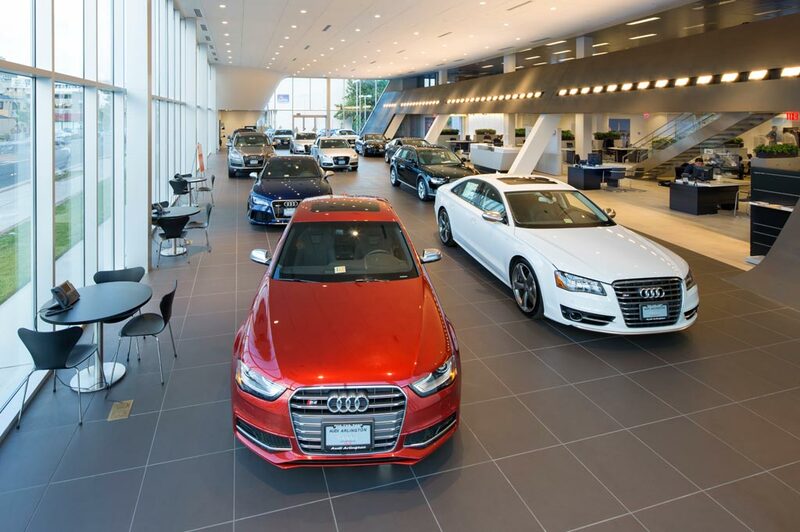 Audi Owings Mills in Owings Mills, MD treats the needs of each individual customer with paramount concern. We know that you have high expectations, and as a car dealer we enjoy the challenge of meeting and exceeding those standards each and every time. Allow us to demonstrate our commitment to excellence! Our experienced sales staff is eager to share its knowledge and enthusiasm with you. We encourage you to browse our online inventory, schedule a test drive and investigate financing options. You can also request more information about a vehicle using our online form or by calling 410-928-4265. From the moment you step through our doors, you're sure to feel the friendly atmosphere we foster. Visit us today and experience our stellar selection of new Audi models. Our brand new Audi dealership in Owings Mills, Maryland is a proud member of the Priority 1 Automotive Group which means our top priority is you - the customer. We go above and beyond every day to share our passion for the Audi line-up with people who are passionate about driving Audi models. We're continuously driven to excellence, and we want to help you find your dream car. Visit Audi Owings Mills today and experience excellence at work! Here at our Baltimore area Audi dealership, we house an impressive collection of new and pre-owned Audi cars and SUV's for your perusal. Explore the new Audi line-up to meet the latest and greatest models in our collection. These include iconic sedans such as the new Audi A3, A4, A5, A6, and A7 as well as extraordinary SUVs such as the Audi Q3, Q5 and Q7. We not only want to pair you with the best car for your lifestyle, but we want you to find your dream car. That's why we also offer plenty of your favorite iconic sports and performance cars, such as the Audi TT and the Audi S4, S5 and S8. If you're in the market for a like-new Audi at a used-car price point, we have a variety of options for you. Browse our used and Certified-Pre-Owned Audi models to find one that fits your needs. Once you select the Audi of your choice, head over to our Audi finance department and speak with our team about your payment options. After you have had some time to enjoy driving your new Audi, you'll want to return to our dealership for expert maintenance at routine intervals. The factory trained technicians at ourAudi service center can help you diagnose any issues you may encounter, or they can simply perform routine maintenance when required. This can include oil changes, tire rotations, multi-point inspections and more. We can also help you with collision repairs by restoring your Audi to like-new condition. Schedule your service appointment with us today and we'll have you back on the road in no time. We also have a wide variety of OEM Audi parts for sale if you're looking to customize your vehicle. Let us know what you need and we'll help you find it.